Can I view client Favorites in Lightroom? What is the ideal file size? What file types are accepted? 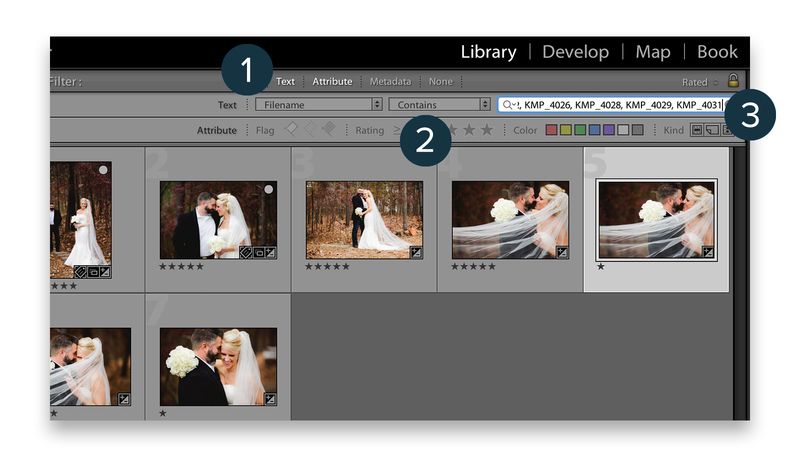 In Lightroom, you can easily pull up the photos your clients have chosen as their Favorites in a gallery! This is helpful when you need to sort through an entire gallery's photos and just want to select several on your computer through Lightroom. 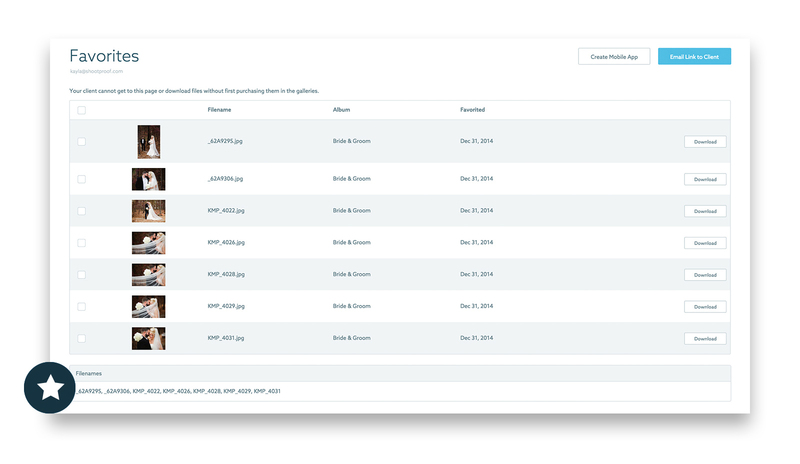 You can also use this workflow when clients favorite images they want to be used in an album, when you want to determine which images your clients would like retouched, or to help you apply a watermark to selected images for use in a mobile app. Tip: After your client has selected their favorites, they can click the "Favorites" button in the gallery, and then click the "Share Your Favorites" button to notify you that their selections are complete! * If your filenames have spaces in them, this search capability may not work successfully. 8. The Favorited files will automatically be filtered from the folder and display on the screen! Can I send my clients their Favorites as digital downloads? How do I place an order for my studio at cost?